Item number Edz3797 b from the MOA: University of British Columbia. 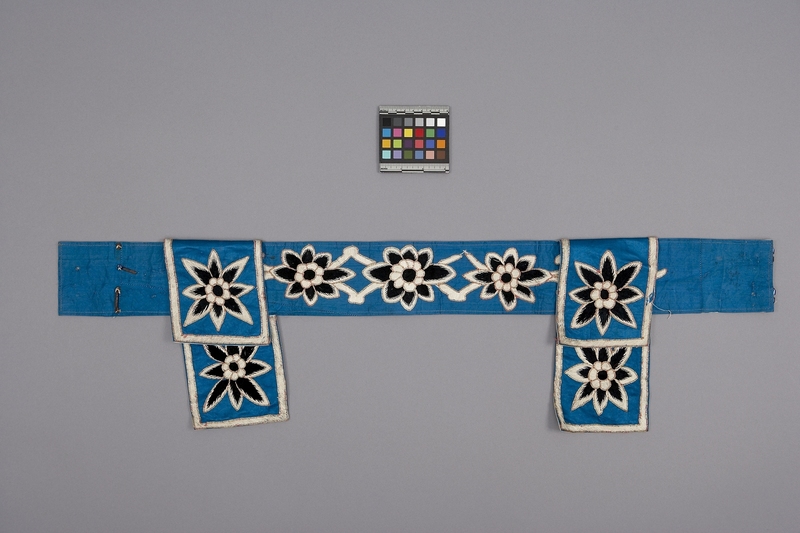 Turquoise belt with embroidery, hanging flaps and metal hook and bar fasteners. It is worn with a robe (Edz3797 a). There are two flaps hanging from the top edge and two from the bottom edge. The front is embroidered with a large floral motif in black and white. 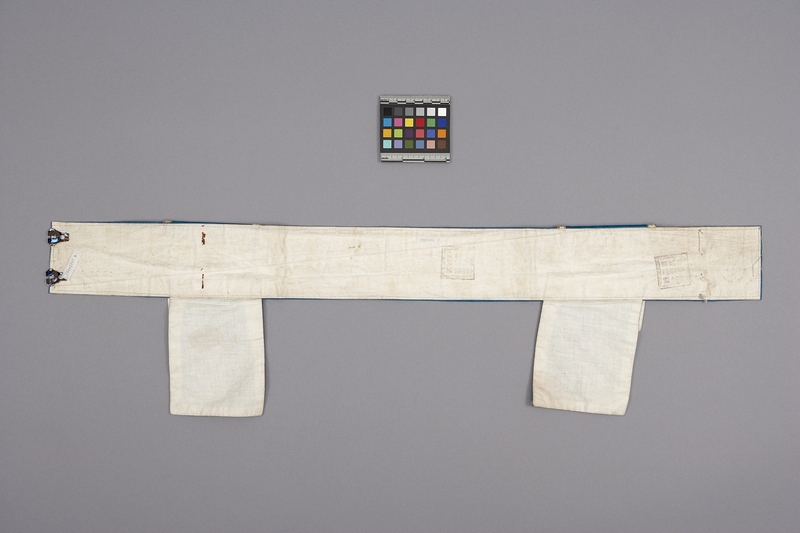 The back is lined with white cotton.